Penny McDonald teaches The Alexander Technique and Healing Dance (in water) in Hobart, Tasmania, to people of all ages and backgrounds who wish to find ease of movement. She works to help you cooperate with the design of the body, to help you find a way of being gentle and kind to yourself. It's all about finding a useful way of inviting the body to work more efficiently. Penny also provides specialised training in the Alexander Technique for actors, musicians, dancers and performers. The focus here is on finding connection through yourself, to better connect to the audience. All while having fun. Penny runs group classes at many major acting studios and music schools. You can book her to visit workshops or rehearsals, or you can visit Penny at her studio for a private lesson, where you can also meet Ollie the Labradoodle. For Ollie's Tips on Applying the Alexander Technique, sign up to the mailing list or visit the Applying the Alexander Technique page. 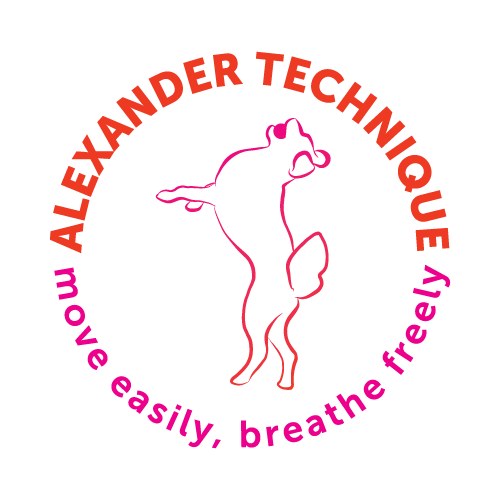 Sign up with your email address for Ollie's Tips on Applying the Alexander Technique.